We'll take just about any opportunity we get to relive a slice or two of retro goodness. When something like Retro Groupee comes along, it's almost too much nostalgia to handle. The pay what you want bundle features half a dozen indie games, each of which is steeped in old school style in one way or another. Bonuses are unlocked after a certain number of bundles have been sold, and at the time of writing almost all of the extras have been unleashed to the buying public. 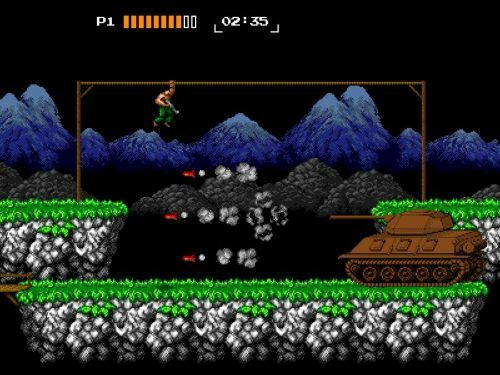 And now we would like to direct your attention to 8-Bit Commando, a run-and-gun sidescrolling platformer that does its best to look, sound, and feel like a classic Contra game. By paying more than $3 for the Retro Groupee bundle you can grab this fast-paced arcade release, and even though it only features two player local co-op, it'll make you feel like you're a kid again, sitting in the living room with that NES controller that has a sticky A button. The Retro Groupee bundle ends April 9th. Page created in 1.6736 seconds.